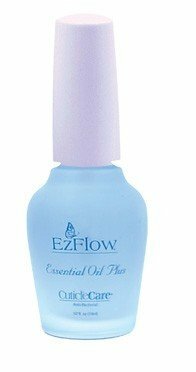 Our EzFlow Essential Oil is rich in Vitamin E for intense nourishment of the cuticle and skin surrounding the nails. Natural botanicals hydrate and soothe fragile cuticles, encouraging healthy nail growth. Safe for artificial nails, essential oil will neutralize any chemicals on the skin and will not lift enhancements.